The Seagate Wireless is a physically more refined and, dare I say, cuter device than the Wireless Plus I reviewed back in 2013. Gone is the dedicated power port used for charging. Compared to the Wireless Plus, the new Wireless looks much more up to date. The exterior of the Seagate Wireless is simple, consisting of just a power button, power LED, USB LED, USB 2.0 port (more specifically a USB Micro port commonly found on Android phones) and Wi-Fi LED. You might notice just to the left of the USB port what looks to be reset button. The only thing I could find regarding reset was, "For a variety of reasons, you might need to reset your Seagate Wireless back to its original factory settings. Press and release the button located on the top of your device. No data is lost during this process, and you do not need to reconfigure the device." I used a paper clip to press inside this hole on the side and verified it is indeed a reset button despite the odd description. No data was lost, but I was reset back to default non-secure settings. I made several attempts to open the Seagate Wireless case and finally gave up when I was starting to mar the case too much. My inability to open the case was rather unfortunate since the FCC pictures aren't that great, as you can see below. Thankfully the FCC component list is very good for the Wireless. The internal components are quite different than the previous Wireless Plus, with the new Wireless having an emphasis on Samsung components. This makes sense given the Seagate/Samsung HDD merger. Of particular interest is the slightly less powerful battery, although battery life was essentially the same as the old Wireless Plus, which I'll get into later. You can check out the component list compared to the Wireless Plus below. 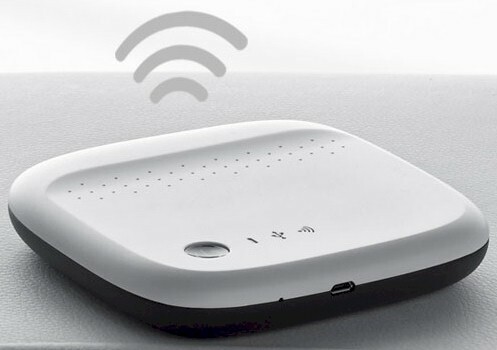 Essentially, setup of the Seagate Wireless and most features are identical to the Wireless Plus. So I'll simply refer you to the Seagate Wireless Plus review for a look at the Seagate Media app. Just as I did in the last review, I still experienced problems with the Seagate Media app crashing, or at least being unresponsive, usually just after connecting to the device.